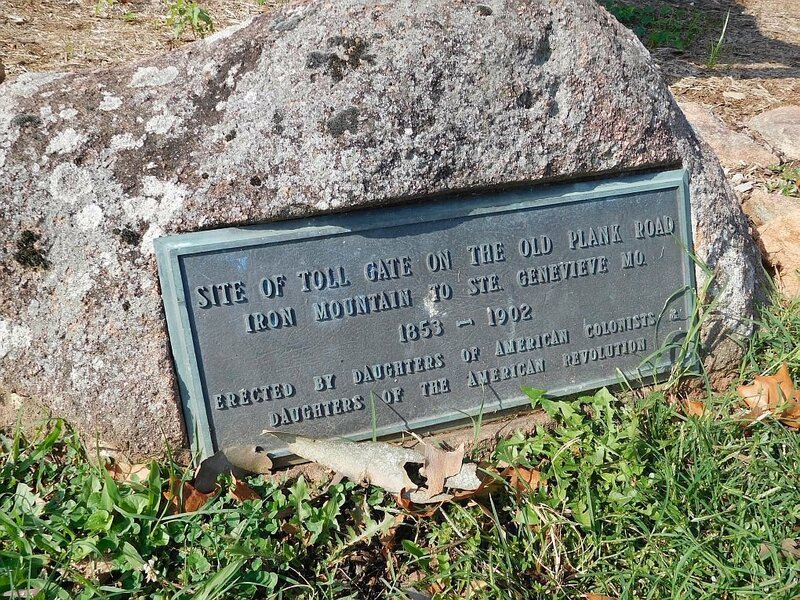 The marker for the toll gate on the plank road was moved years ago after an expansion of Karsch Boulevard in Farmington and was found "hidden in plain sight" by members of the Daughters of the American Revolution and Daughters of American Colonists who were looking for the stone marker. A rededication ceremony for the marker is set for 11:30 a.m. today. 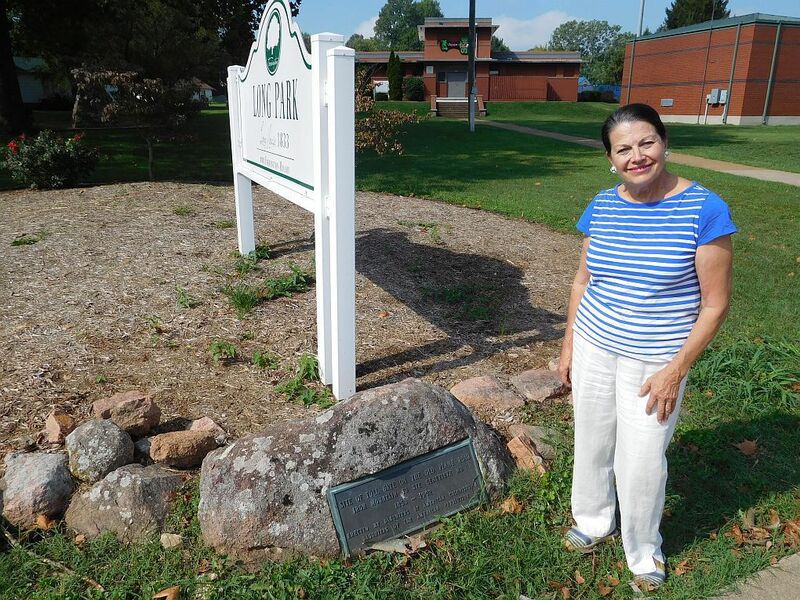 Nancy Cozean said she had a good laugh when she was directed to the stone marker noting the toll booth used for the plank road in the late 19th-early 20th century. The marker was moved from its original location near Highway 32 when Karsch Boulevard was expanded and placed in Long Park along what was a portion of the plank road. A rededication ceremony is scheduled for Saturday for the marker. A simple stone sits along the sidewalk in Long Park along Ste. Genevieve Avenue. Hundreds of vehicles pass the marker noting the toll booths for the plank road each day – with many taking that route unaware they are traveling along the same road constructed more than 160 years ago. In 1851, construction began on a plank road between Iron Mountain and Ste. Genevieve and would take two years to complete at a total cost of $200,000. Five tollgates located along the route were also one way to help pay for the road. A portion of the road ran on what is now Columbia Street and Ste. Genevieve Avenue in Farmington. The Daughters of American Revolution, along with the Daughters of American Colonists, erected a marker along the route east of Farmington on Highway 32 noting the location of a toll gate along the plank road. However, the location of the marker became unknown to some after the expansion of Karsch Boulevard. Thankfully, the marker was moved to Long Park along a portion of the plank road. On Saturday, the Sarah Barton Murphy Chapter, NSDAR and Missouri State Society Daughters of the American Colonists are hosting a rededication of the marker at 11:30 a.m.
Tours of the Long House will also be conducted. A special selection of music will be played by Sheriff Dan Bullock and his band. The completion of the Iron Mountain Railroad to St. Louis around 10 years after the plank road was completed led to the loss of Iron Mountain customers. The road would be purchased by the county in 1902 and made toll free. Two years later, it was closed and replaced with a crushed rock road. At some point, a portion of the sidewalk in the area of the marker in Farmington will be recreated to look like the plank road.